Antonio Pappano renews his contract as Music Director of The Royal Opera until 2020. Antonio Pappano conducts three new productions – Norma, Die Meistersinger von Nürnberg and Otello – as well as revivals of Manon Lescaut and Madama Butterfly. The Royal Opera presents the UK premiere of Thomas Adès’s new opera, The Exterminating Angel, which opens at Salzburg Festival in July 2016 and is a co-commission and co-production with Salzburg Festival, the Metropolitan Opera, New York, and the Royal Danish Opera, Copenhagen. The Season includes three other premieres outside the Royal Opera House in collaboration with a range of partners, co-producers and co-commissioners. There are seven new productions at the Royal Opera House (Norma, Così fan tutte, The Nose, Der Rosenkavalier, Die Meistersinger von Nürnberg, The Exterminating Angel, and Otello) with two directors new to Covent Garden (Jan Philipp Gloger and Barrie Kosky), as well as new productions from Àlex Ollé, Robert Carsen, Kasper Holten, Tom Cairns and Keith Warner. Shostakovich’s The Nose, new to The Royal Opera repertory, continues the line of Royal Opera programming focussing on early 20th-century works, which included Król Roger and Rise and Fall of the City of Mahagonny in the 2014/15 Season and Oedipe in the 2015/16 Season. Manon Lescaut, Written on Skin, Il trovatore and Adriana Lecouvreur return for their first revivals. 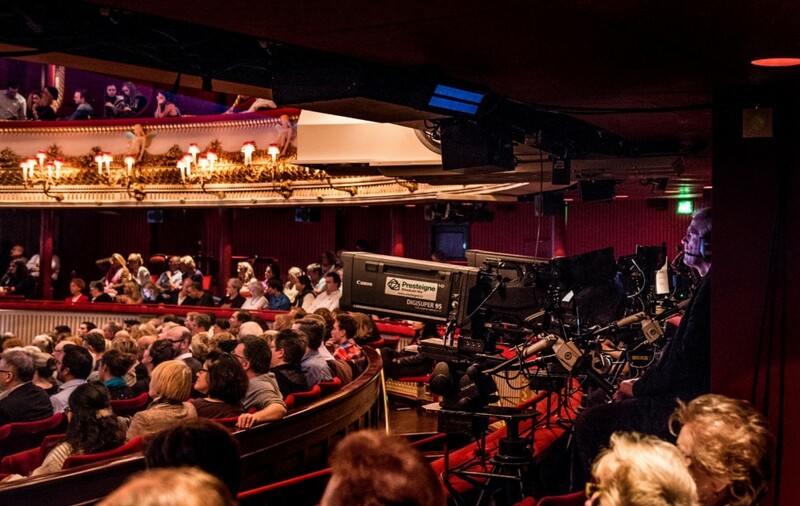 Six operas will be screened in the Royal Opera House Live Cinema Season. BBC Radio 3 will broadcast eight productions during the 2016/17 Season. André Tchaikowsky’s The Merchant of Venice receives its London premiere in a production by WNO directed by Keith Warner at the end of the 2016/17 Season. Co—production with Gran Teatre del Liceu, Barcelona, Vienna State Opera, San Francisco Opera and Opéra National de Paris. Music Director Antonio Pappano, now in his 15th Season with The Royal Opera, conducts three new productions and two revivals. He has renewed his contract until 2020, making him in the 2018/19 Season the longest serving Music Director in the history of The Royal Opera. Antonio Pappano returns to the Italian repertory for the opening of the Season with a new production of Bellini’s Norma, last seen in a staged production by The Royal Opera in 1987. It is directed by members of the innovative Catalan theatre group La Fura dels Baus, who make their first appearance with The Royal Opera during the 2015/16 Season with Enescu’s Oedipe. The opera is regarded as a leading example of the bel canto genre and Norma’s aria ‘Casta diva’ is considered one of the most beautiful and demanding arias from the 19th-century bel canto tradition. 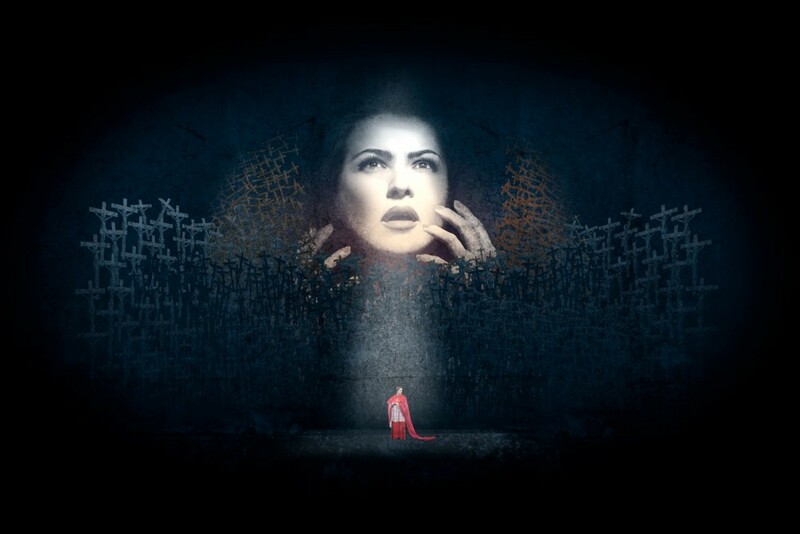 Russian soprano Anna Netrebko takes on the challenge of the title role for the first time. Also making his role debut is Maltese tenor Joseph Calleja as Pollione, Norma’s former lover and an enemy of her people, who betrays her for Adalgisa, sung by Italian mezzo-soprano Sonia Ganassi who makes a welcome return to Covent Garden. British bass Brindley Sherratt, whose recent roles at Covent Garden have included Prince Gremin (Eugene Onegin) and Sarastro (Die Zauberflöte), sings the role of Oroveso. Previous exponents of the title role of Norma at Covent Garden have included Maria Callas, Joan Sutherland and Montserrat Caballé. The opera is given a contemporary Western European setting by director Àlex Ollé and his set and costume designers Alfons Flores and Lluc Castells, and reflects on the role of fanatical religion in a society in crisis, dominated by a strong military power. 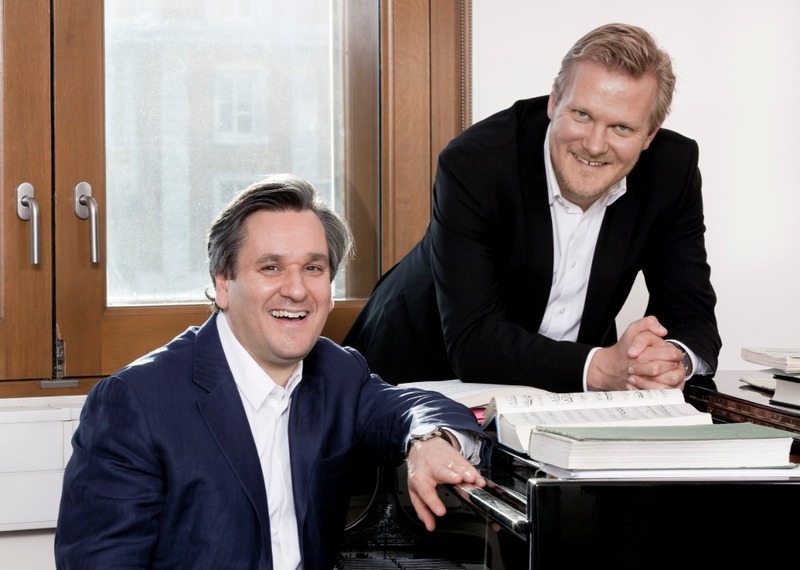 Antonio Pappano and Kasper Holten continue their creative partnership following the success of Król Roger in 2015 with a new production of Die Meistersinger von Nürnberg, Wagner’s lyrical comedy celebrating humanity and art. This will be Kasper Holten’s fifth production for The Royal Opera, following Eugene Onegin, Don Giovanni, L’Ormindo (at Shakespeare’s Globe) and Król Roger, and his Wagner productions have included Der Ring des Nibelungen and Tannhäuser for Royal Danish Opera and Lohengrin for Deutsche Oper Berlin and Novaya Opera Moscow. Die Meistersinger von Nürnberg was first performed by The Royal Opera (then the Covent Garden Opera Company) in 1948, with Hans Hotter singing the role of Hans Sachs, conducted by Karl Rankl. Welsh bass-baritone Bryn Terfel takes on the role of Hans Sachs for the first time with The Royal Opera having made his role debut in Richard Jones’s production for Welsh National Opera in 2010. German baritone Johannes Martin Kränzle, in his second appearance of the Season, takes on the role of pedantic town clerk Sixtus Beckmesser, the role in which he made his Metropolitan Opera, New York, debut in 2014, and his Glyndebourne Festival debut in 2011. He has also sung the role for Frankfurt Opera. Welsh tenor Gwyn Hughes Jones sings the role of Walther von Stolzing, the young knight with new ideas about music. He recently sang this role for English National Opera. American soprano Rachel Willis-Sørensen, whose roles for The Royal Opera have included Countess Almaviva (Le nozze di Figaro) and Gutrune (Götterdämmerung), sings Eva. Danish bass Stephen Milling takes on the role of her father Veit Pogner, his fourth Wagner role for The Royal Opera, having sung Hunding (Die Walküre), Daland (Der fliegende Holländer) and Landgraf Herrmann (Tannhäuser) for the Company. Antonio Pappano joins forces once again with British director Keith Warner, following their work together on Der Ring des Nibelungen and Wozzeck, for a new production of Verdi’s penultimate opera Otello. Antonio Pappano first conducted Otello at Covent Garden in 2005 and returned to Verdi’s tragic masterpiece of jealousy love and betrayal for performances in 2012. German tenor Jonas Kaufmann makes his role debut in the demanding title role. His recent roles for The Royal Opera have included Andrea Chénier, Chevalier des Grieux (Manon Lescaut) and Don Carlo. He shares the role of Otello with American tenor Gregory Kunde, a leading Otello worldwide, who makes his Royal Opera debut in July 2016 as Manrico in a new production of Il trovatore. Otello’s innocent wife Desdemona is sung by Italian soprano Maria Agresta who has recently sung Violetta Valéry (La traviata) and Lucrezia Contarini (I due Foscari) for The Royal Opera. She shares the role with German soprano Dorothea Röschmann, who recently sang Donna Elvira (Don Giovanni) for The Royal Opera and made her role debut as Desdemona at the 2016 Salzburg Easter Festival. The role of Iago, Otello’s traitorous ensign, is shared between French baritone Ludovic Tézier who in the 2015/16 Season sings Enrico Ashton (Lucia di Lammermoor) for The Royal Opera, and Serbian baritone Željko Lučić, who recently sang Iago for the Metropolitan Opera, New York, and most recently sang Carlo Gérard (Andrea Chénier) at Covent Garden. The last new production of Verdi’s Otello by The Royal Opera had its premiere in 1987, directed by Elijah Moshinsky, conducted by Carlos Kleiber and with Plácido Domingo in the title role. Antonio Pappano also conducts two Puccini operas: the first revival of Jonathan Kent’s contemporary production of Manon Lescaut, and Patrice Caurier and Moshe Leiser’s much-loved production of Madama Butterfly which he conducted at its premiere in 2003. In Manon Lescaut, the title role will be sung by American soprano Sondra Radvanovsky who recently sang Manon Lescaut for Deutsche Oper Berlin and whose recent roles for Covent Garden have included Tosca and Leonora (Il trovatore). Her lover Des Grieux is sung by Latvian tenor Aleksandrs Antonenko, who last appeared with The Royal Opera in Damiano Michieletto’s Cavalleria rusticana (as Turiddu) and Pagliacci (as Canio) and has previously sung Des Grieux for Hamburg State Opera, while Romanian baritone Levente Molnár, who recently sang Belcore (L’elisir d’amore) and Marcello (La bohème) for The Royal Opera, sings the manipulative Lescaut. Antonio Pappano shares the conducting honours for Madama Butterfly with The Royal Opera’s outgoing Chorus Director Renato Balsadonna. Following her recent acclaimed performances with The Royal Opera in the title role in Suor Angelica, Albanian soprano Ermonela Jaho sings the role of Cio-Cio-San for the first time at Covent Garden, following performances of the role for Paris Opéra, Berlin State Opera and Chorégies d’Orange. She shares the role with Puerto-Rican American soprano Ana María Martínez who sang Cio-Cio-San for The Royal Opera in 2015 and whose other recent roles at Covent Garden have included Alice Ford (Falstaff) and Donna Elvira (Don Giovanni). Argentine tenor Marcelo Puente makes his Royal Opera debut as the seductive naval officer Pinkerton, sharing the role with Teodor Ilincai (last seen at Covent Garden as Rodolfo in La bohème and who most recently sang Macduff in Macbeth for The Royal Opera in Japan), while American baritone Scott Hendricks returns to The Royal Opera to sing the US Consul Sharpless following his debut at Covent Garden as Scarpia (Tosca) in 2013. American mezzo-soprano Elizabeth DeShong makes her Royal Opera debut as Suzuki. New to The Royal Opera repertory is Shostakovich’s first opera The Nose, an absurdist, ‘anti-opera’ from 1928, based on Gogol’s preposterous tale of what happens when the nose of a St Petersburg civil servant goes walkabout around the Imperial City. Australian director Barrie Kosky makes his Royal Opera debut with a production that promises to illustrate the surreal confusion created when something weird and unexpected is thrown into an otherwise ordered and controlled society. Kosky is currently Artistic Director of Komische Oper Berlin and his recent productions in Britain have included the highly praised Saul at Glyndebourne Festival and Die Zauberflöte at the Edinburgh International Festival. The opera will be sung in English in a new translation by David Pountney in order for the immediacy and humour of the opera’s rapid-fire conversation to be fully appreciated. Shostakovich was just 22 when he wrote the opera which includes a variety of different styles of music such as folk music, popular music and atonality, and incorporates canons and quartets to maintain structure in a dramatically chaotic work. The opera features more than twenty named roles, and The Royal Opera has assembled a huge cast. This is headed by Austrian bass-baritone Martin Winkler as Kovalev, the man who has lost his nose, and British bass John Tomlinson as the barber Ivan Iakolevitch, who finds Kovalev’s nose in his bread one morning and subsequently gets arrested trying to dispose of it. Twentieth-century music specialist Ingo Metzmacher returns to conduct having previously conducted Die tote Stadt and The Rake’s Progress for The Royal Opera. German director Jan Philipp Gloger makes his Royal Opera and UK debut with a new staging of Mozart’s complex and subtle comedy Così fan tutte. Jan Philipp Gloger began his career in theatre focussing on classic dramas (with productions including Shakespeare’s Much Ado about Nothing at the Bavarian State Theatre), and on modern works such as Philipp Löhle’s Das Ding for Deutsches Schauspielhaus in Hamburg. He directed his first opera in 2010 and his recent operatic productions have included Der fliegende Holländer for the Bayreuth Festival, Idomeneo for Frankfurt Opera and Der Rosenkavalier for Dutch National Opera. 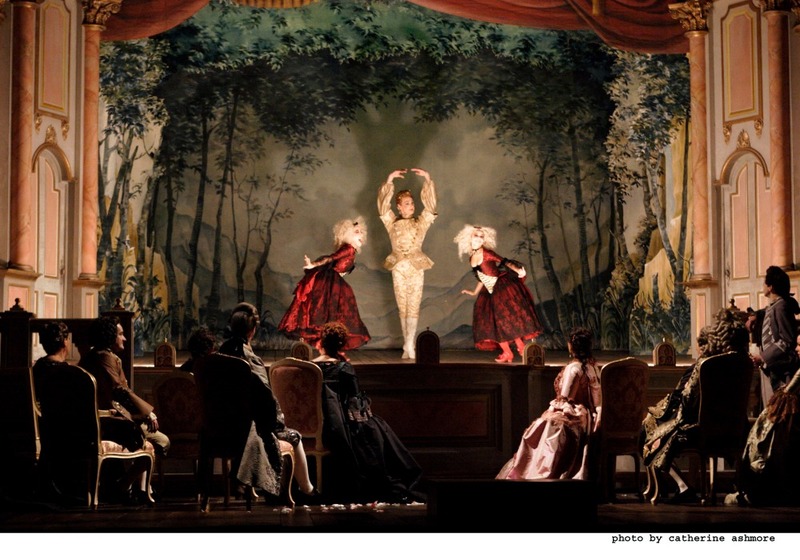 His new production of Così fan tutte plays on the Shakespearean idea of the world as a stage, and is set in a theatre. Don Alfonso, sung by leading German baritone Johannes Martin Kränzle making his Royal Opera debut, is a stage director who puts the pairs of lovers into situations that make them consider the question ‘what is love?. Russian conductor Semyon Bychkov returns to The Royal Opera to conduct his first Mozart score for the Company. His most recent performances with The Royal Opera include Lohengrin, Tannhäuser, La bohème, Die Frau ohne Schatten and Eugene Onegin. The cast is largely made up of rising stars, many making their Royal Opera debuts. American soprano Corinne Winters, who recently sang Mimì (La bohème) at ENO, sings Fiordiligi, and her mezzo-soprano compatriot Angela Brower sings Dorabella, a role she has previously sung in Munich, and will make her debut in at the 2016 Salzburg Festival. German tenor Daniel Behle makes his Royal Opera debut as Ferrando following recent performances of the Mozart roles of Belmonte (Die Entführung aus dem Serail) in Berlin and Idomeneo for Frankfurt Opera. Italian baritone Alessio Arduini returns to sing Guglielmo, having made his Royal Opera debut in 2013 as Schaunard (La bohème), while Sabina Puértolas, a former Operalia winner, who made her Royal Opera debut in 2013 as Lisette (La rondine), sings Despina. Acclaimed British composer and conductor Thomas Adès returns to conduct his new opera The Exterminating Angel. 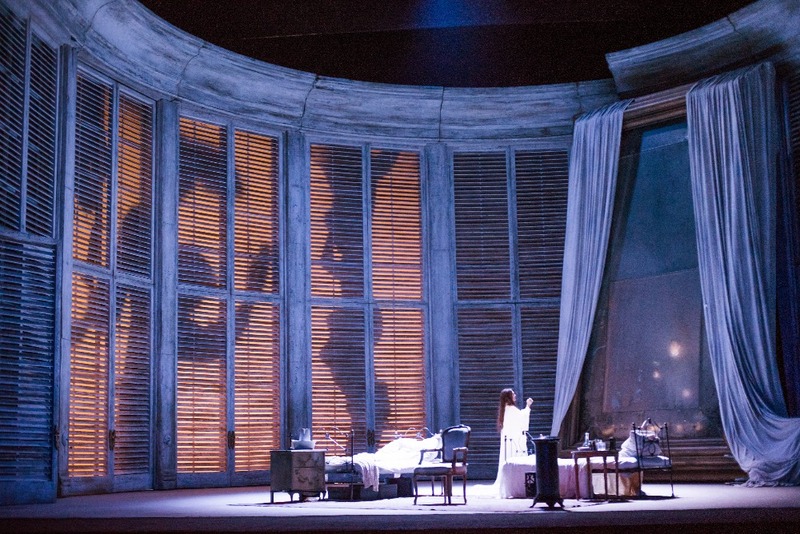 The opera has a libretto by Adès and Tom Cairns, who directs the production, and is based on Luis Buñuel and Luis Alcoriza’s screenplay for Buñuel’s 1962 film El á​​ngel exterminador. The opera is co- commissioned and co-produced by The Royal Opera, The Salzburg Festival, The Metropolitan Opera, New York, and the Royal Danish Opera, Copenhagen. Edmundo and Lucia Nobile (sung by American tenor Charles Workman and South African soprano Amanda Echalaz) invite friends over for an opulent dinner party. While the guests enjoy their food, the servants disappear one by one. Afterwards the visitors retire to the salon for an evening of music and conversation but soon find that they are mysteriously incapable of leaving the room. Adès chose the film as the basis for his third opera as ‘It’s territory that I like very much because it looks as though the people are in a room, but it’s not really about the room, they’re actually trapped in their own heads’. Described as a ‘circular vision of hell’, the surreal scenario represents a breakdown of order into chaos. A large cast of British and international singers are assembled for this production. Apart from Workman and Echalaz, the singers include British bass John Tomlinson (Doctor), British mezzo-soprano Christine Rice (Blanca), British baritone Thomas Allen (Roc), British soprano Sally Matthews (Silvia), Swedish mezzo-soprano Anne Sofie von Otter (Leonora), French tenor Frédéric Antoun (Raúl), British counter-tenor Iestyn Davies (Francisco), British tenor Ed Lyon (Eduardo), British soprano Sophie Bevan (Beatriz), American baritone David Adam Moore (Colonel Gomez), and Danish bass-baritone Sten Byriel (Sergio Russell). Thomas Adès first worked with Tom Cairns on the opera The Tempest which was given its world premiere by The Royal Opera in 2004. Adès’s first opera Powder Her Face was performed in the Linbury Studio Theatre in 2008 and 2010. Robert Carsen returns to direct a new production of Der Rosenkavalier for The Royal Opera following recent successful stagings of Falstaff and Dialogues des Carmélites with the Company. Carsen sets his production in Vienna just before the outbreak of World War I. Set designs are by Paul Steinberg and costumes by Brigitte Reiffenstuel who were the designers for his Falstaff for The Royal Opera. Andris Nelsons returns to conduct all performances having previously conducted Der fliegende Holländer, Elektra, Salome, Madama Butterfly and La bohème for The Royal Opera. American soprano Renée Fleming makes a welcome return as the Marschallin. She most recently sang Countess Madeleine in Capriccio (concert performances) for The Royal Opera in 2013. She first sang the role of Marschallin for The Royal Opera in 2000 and has sung the role across the world most recently in Washington and Vienna. She shares the role with her compatriot Rachel Willis-Sørensen who also sings Eva in The Royal Opera’s new production of Die Meistersinger von Nürnberg in the 2016/17 Season. The Marschallin’s young lover Octavian is sung by Alice Coote, seen most recently with The Royal Opera as Le Prince Charmant (Cendrillon) and as Octavian with Vienna State Opera, and by the Anglo-French mezzo soprano Anna Stéphany, making her Royal Opera debut following performances as Octavian for the Bolshoi Theatre in Moscow and for Kungliga Operan, Stockholm. British soprano Sophie Bevan sings the role of Sophie, which she sang under Nelsons with the CBSO in 2014 and also at ENO. Most recently for The Royal Opera she has sung Susanna (Le nozze di Figaro). British bass Matthew Rose sings the role of Baron Ochs for the first time at Covent Garden having recently made his role debut as Ochs for the Lyric Opera of Chicago. The previous Royal Opera production of Der Rosenkavalier was directed by John Schlesinger and first seen in 1984 with Kiri Te Kanawa in role of the Marschallin and Agnes Baltsa as Octavian, conducted by George Solti. The production was last seen at Covent Garden in 2009 with Soile Isokoski as the Marschallin and Sophie Koch as Octavian, conducted by Kirill Petrenko. Along with Manon Lescaut and Il trovatore The Royal Opera revives two other productions for the first time: George Benjamin’s opera Written on Skin, conducted by the composer, directed by Katie Mitchell and first performed at Covent Garden in 2013, and David McVicar’s staging of Francesco Cilea’s Adriana Lecouvreur, first performed by The Royal Opera in 2010. Written on Skin is the disturbing tale of a medieval overlord who invites an artist into his home to create an illuminated manuscript with devastating consequences. Three of the original cast members reprise their roles: British baritone Christopher Purves as the controlling Protector, Canadian soprano Barbara Hannigan as his questioning wife Agnès and British mezzo-soprano Victoria Simmonds as Angel 2/Marie. New to the cast are British countertenor Iestyn Davies who sings the role of The Boy/Angel 1, and British tenor Mark Padmore singing Angel 3/John. American soprano Georgia Jarman, who recently sang Roxana (Król Roger) for The Royal Opera, shares the role of Agnès with Barbara Hannigan. Adriana Lecouvreur focuses on the personal and professional life of the great French actress Adrienne Lecouvreur, whose death at the age of 38 was rumoured to have been caused by poison administered by a rival. Romanian soprano Angela Gheorghiu returns to the role she created in this production in 2010 following recent performances with The Royal Opera as Tosca and acclaimed performances as Adriana in Paris. She shares the role with rising star Armenian soprano Hrachuhi Bassenz, whose recent roles include Mimì (La bohème) and Valentine (Les Huguenots) in Nuremberg and Norma in Gelsenkirchen. 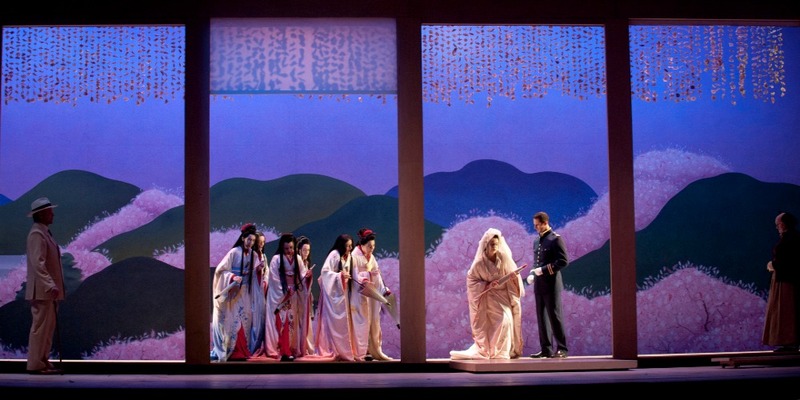 American tenor Brian Jagde returns to sing Adriana’s lover Maurizio, following his Royal Opera debut as Pinkerton (Madama Butterfly) in the 2014/15 Season. Russian mezzo-soprano Ksenia Dudnikova makes her Royal Opera debut and role debut as Adriana’s rival the Princesse de Bouillon and Gerald Finley (in his role debut) and Alessandro Corbelli (returning to this production) share the role of Michonnet, the stage manager in love with his leading lady Adriana. Verdi continues to be strongly represented with a trio of revivals: the first revival of German director David Bösch’s production of Il trovatore (which has its premiere in June 2016), a revival of Richard Eyre’s ever-popular production of La traviata and a revival of Nicholas Hytner’s production of Don Carlo. Outgoing Music Director of Opera North Richard Farnes conducts all performances of Il trovatore, having previously conducted Simon Boccanegra for The Royal Opera. Bösch’s staging draws on a range of complementary images including dirt and stardust, fire and snow, to tell a tale involving witchcraft, infanticide and romantic rivalry set against the uneasy background of civil war. Italian soprano Maria Agresta, a recent Violetta Valéry (La traviata) and Lucrezia Contarini (I due Foscari) for The Royal Opera, French-Italian tenor Roberto Alagna (in one of three roles this Season) and Hawaiian baritone Quinn Kelsey star in the first cast as Leonora, Manrico and Count di Luna. Returning to the production are American tenor Gregory Kunde and Armenian soprano Lianna Haroutounian heading the second cast as Manrico and Leonora, joined by Russian baritone Dmitri Hvorostovsky in one of his key roles as Count di Luna. Following her recent performances of Carmen for The Royal Opera, Georgian mezzo-soprano Anita Rachvelishvili sings the role of the enigmatic gypsy Azucena in both casts. La traviata returns in a number of different castings conducted by Italian conductors Daniele Rustioni and Maurizio Benini and British conductor and member of Royal Opera music staff, Christopher Willis. Canadian-Lebanese soprano Joyce El-Khoury makes her Covent Garden debut as Violetta Valéry, a role she has also sung for WNO, Dutch National Opera, Savonlinna Festival and various American and Canadian companies. Her recent performances also include Maria Stuarda for Seattle Opera and Musetta (La bohème) for Bavarian State Opera. She shares the role with Corinne Winters – who sings Violetta for some June performances, following her Royal Opera debut in the new production of Così fan tutte in September 2016 – and Russian soprano Ekaterina Bakanova, who first sang Violetta Valéry for The Royal Opera in 2015, replacing an indisposed Sonya Yoncheva, and who has also sung Musetta (La bohème) for the Company. Brazilian tenor Atalla Ayan, who has previously sung Ruggero (La rondine) and Don Ottavio (Don Giovanni) for The Royal Opera, sings Alfredo Germont. Two further tenors make their Royal Opera debuts in the role of Alfredo; Russian tenor Sergey Romanovsky, whose recent roles include Duke of Mantua (Rigoletto) at the Bolshoi and Count Almaviva (Il barbiere di Siviglia) at the Mariinsky Theatre, and Armenian tenor Liparit Avetisyan who has previously sung Alfredo Germont for Armenian National Academic Opera and Ballet Theatre. Polish baritone Artur Ruciński returns to the role of the stern patriarch Giorgio Germont, which he shares with Romanian baritone George Petean, who sang the role in 2015 for The Royal Opera, and Italian baritone Nicola Alaimo, who makes his Royal Opera debut, and whose recent roles have included Falstaff for La Scala, Milan and Doctor Bartolo (Il barbiere di Siviglia) for Paris Opéra. American tenor Bryan Hymel returns to The Royal Opera to sing the title role of Verdi’s Don Carlo for the first time for The Royal Opera in the third revival of Nicholas Hytner’s production. He is joined by Bulgarian soprano Krassimra Stoyanova as Carlos’s beloved Elizabeth of Valois. Russian bass Ildar Abdrazakov sings the role of Philip II, with Russian mezzo-soprano Ekaterina Semenchuk as Princess Eboli and Georgian bass Paata Burchuladze as the Grand Inquisitor. French baritone Ludovic Tezier, in one of two appearances for The Royal Opera in the 2016/17 Season, sings Posa, a role he has previously sung in Vienna and Paris. Bertrand de Billy, who has previously conducted Carmen, Maria Stuarda and Cendrillon for The Royal Opera, conducts. 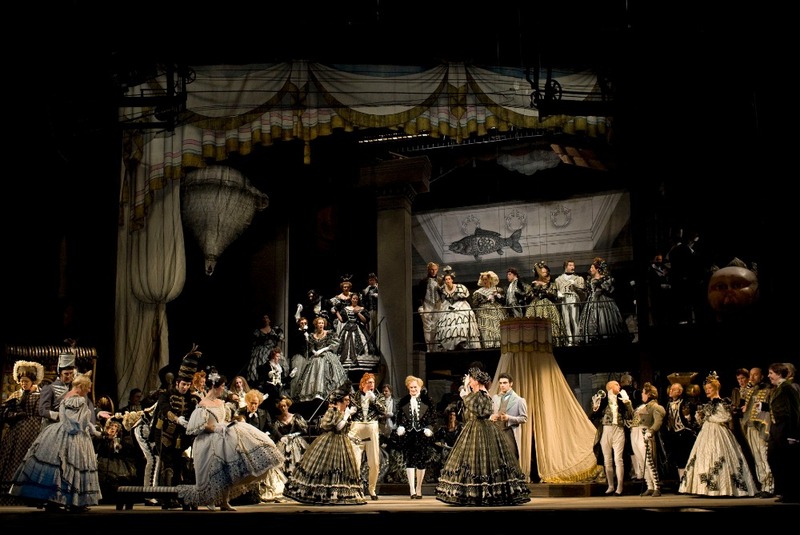 This Season, The Royal Opera brings back two productions not seen at Covent Garden for some time: Graham Vick’s production of Mitridate, re di Ponto, last seen in summer 2005, and John Schlesinger’s production of Les Contes d’Hoffmann, last seen in autumn 2008. In Les Contes d’Hoffmann, Italian tenor Vittorio Grigolo sings the title role for the first time at Covent Garden, following appearances with The Royal Opera as Massenet’s Werther this Season. He shares the role with Italian-American tenor Leonardo Capalbo who makes his Royal Opera debut in 2016 as Ismaele (Nabucco). American baritone Thomas Hampson sings the four villains, and Russian soprano Sofia Fomina, British mezzo-soprano Christine Rice and Bulgarian soprano Sonya Yoncheva sing Hoffmann’s three great loves: Olympia, Giulietta and Antonia. American mezzo-soprano Kate Lindsey sings Hoffmann’s friend Nicklausse, and Italian conductor Evelino Pidò conducts. In Mitridate, re di Ponto, French conductor and baroque specialist Christophe Rousset makes his Royal Opera debut. American tenor Michael Spyres sings the title role following his Royal Opera debut in 2013 as Rodrigo (La donna del lago), and other cast members include Russian soprano Albina Shagimuratova as Mitridate’s betrothed Aspasia, British soprano Lucy Crowe as Ismene and American countertenor Bejun Mehta (who for The Royal Opera last sang Boy/Angel 1 in Written on Skin in 2013) as Farnace. Two Italian comic operas also form part of the Season, with revivals of Patrice Caurier and Moshe Leiser’s production of Il barbiere di Siviglia conducted by Hungarian Henrik Nánási, music director of Komische Oper Berlin, and a revival of Laurent Pelly’s production of L’elisir d’amore conducted by Bertrand de Billy. Rising star Argentinian mezzo-soprano Daniela Mack (a finalist in the BBC Cardiff Singer of the Year competition in 2013) sings Rosina with Mexican tenor Javier Camarena as Count Almaviva, the role in which he made his debut at the Metropolitan Opera, New York, in 2016. Italian baritone Vito Priante and French baritone Florian Sempey (in his Royal Opera debut) sing the cunning barber Figaro. Returning to the role of ardent but shy Nemorino in L’elisir d’amore is Roberto Alagna, playing opposite Polish soprano Aleksandra Kurzak as the feisty and sophisticated Adina. Alagna and Kurzak last sang these roles for The Royal Opera in autumn 2012. They share the roles of Nemorino and Adina with South African soprano and Operalia winner Pretty Yende, making her Royal Opera debut, and Mexican tenor Rolando Villazón, singing one of his key roles for the first time with The Royal Opera. For one performance, Nemorino is sung by Sicilian tenor Ivan Magri who makes his Royal Opera debut. Italian bass-baritone Alex Esposito, who recently sang Leporello (Don Giovanni) for The Royal Opera, sings the comic travelling salesman and ‘doctor’ Dulcamara in all performances. 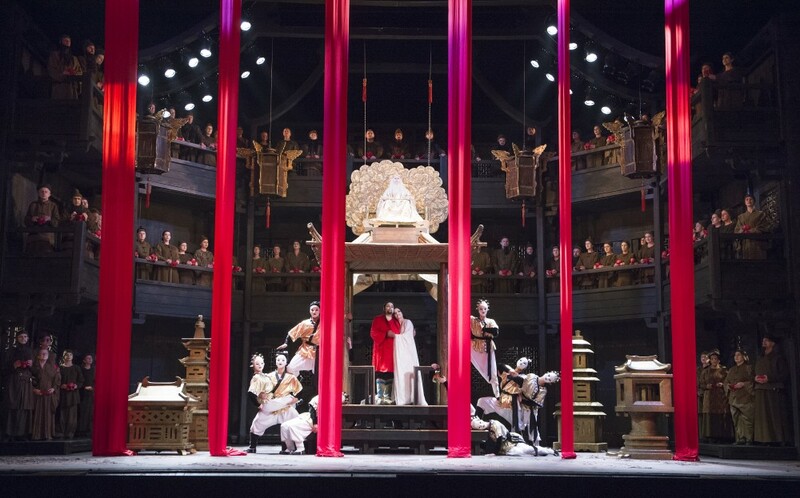 The Royal Opera’s last production of the Season is Puccini’s final opera Turandot which focuses on the cold Princess Turandot and her determined suitor Calaf’s attempt to answer three riddles in order to win her hand. Leading American sopranos Christine Goerke and Lise Lindstrom sing the challenging title role with Aleksandrs Antonenko, Roberto Alagna and Korean tenor Alfred Kim sharing the role of her ardent suitor Calaf. Other singers returning to The Royal Opera in the 2016/17 Season include Italian bass Ferruccio Furlanetto as Don Basilio (Il barbiere di Siviglia), a role he first sang in The Royal Opera’s production in 2009, American bass Eric Halfvarson as Crespel in Les Contes d’Hoffmann and Geronte di Revoir in Manon Lescaut. British tenor Robin Leggate as Emperor Altoum (Turandot), British mezzo-soprano Susan Bickley as Noble Old Lady, American mezzo-soprano Helene Schneiderman as Madame Podtotschina and Irish soprano Ailish Tynan as Podtotschina’s daughter (The Nose) and Hungarian bass Gábor Bretz as Ferrando (Il trovatore). Among the artists making their debuts with The Royal Opera during the 2016/17 Season and not previously mentioned, American coloratura soprano Audrey Luna sings Leticia in Adès’s The Exterminating Angel, having previously sung Ariel in Adès’s The Tempest for Vienna State Opera and for the Metropolitan Opera, New York; Portuguese baritone Jose Fardilha sings Doctor Bartolo (Il barbiere di Siviglia) having recently sung the title role in Don Pasquale for Glyndebourne Festival; Austrian tenor Wolfgang Ablinger-Sperrhacke sings Ivan (The Nose) having recently sung Mime (Der Ring des Nibelungen) in Paris and Captain (Wozzeck) for La Scala, Milan, and in Munich; Italian bass-baritone Paolo Bordogna sings Belcore (L’elisir d’amore) having recently sung Figaro (Il barbiere di Siviglia) for Opera Australia and Leporello (Don Giovanni) in Vienna; German soprano Anett Fritsch sings Sifare (Mitridate, re di Ponto) following recent performances as Adina (L’elisir d’amore) and Pamina (Die Zauberflöte) for Deutsche Opera am Rhein; and Azerbaijani soprano Dinara Alieva, a soloist with the Bolshoi (where she has recently sung Micaëla (Carmen) and Mimì (La bohème)), sings the role of Liù (Turandot). Renée Fleming, Alice Coote, Sophie Bevan, Matthew Rose, Jochen Schmeckenbecher, Wolfgang Ablinger-Sperrhacke, Helene Schneiderman, Giorgio Berrugi, Samuel Sakker, Thomas Atkins§, Miranda Keys. All of the titles listed above are subject to change. Please check BBC Radio 3’s Opera on 3 website for the latest schedule.